Identical twins Clare and Rachel Wallmeyer, who became famous through their desperate battle with anorexia, have died in a house fire aged 42. Clare and Rachel Wallmeyer were killed after a fire broke out in their home in Geelong, near Melbourne, Australia, one perishing in the flames, the other succumbing to her severe burns on the way to hospital. 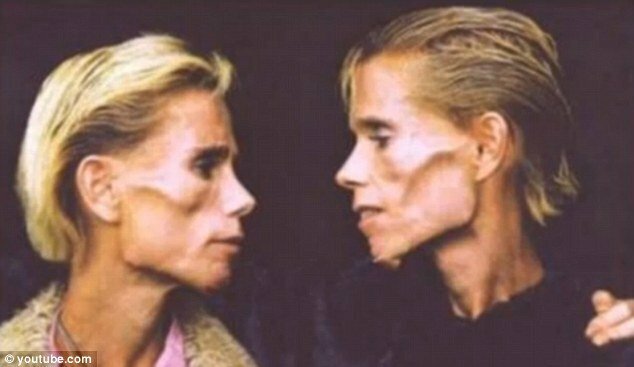 It was a tragic end to two turbulent lives, for the sisters had appeared on Australian TV several times to talk about the anorexia which had turned both into virtual living skeletons and a problem pair for their parents, social workers and the police. In a poignant review of their lives they said in recent years that they had never been in love, never had a job and they believed that it was only a matter of time before they died – and they would die together. Their deaths in the fire are believed to have been accidental, according to detectives from the Geelong Crime Investigation Unit who said that initial checks did not reveal any suspicious activity. Yet there had been reports over the years of the women each trying to kill one another. Rachel Wallmeyer was charged with the attempted murder of Clare after police, who were called to their home, claimed they witnessed Rachel with her hands locked around her sister’s throat. The charge was later withdrawn. Their existence, balanced between life and death, had resulted in TV companies searching them out for interviews after authorities considered jailing them in an attempt to stop the women starving themselves to death and “turn their lives around”. In fact Clare Wallmeyer was later jailed by a Geelong court for a series of thefts – but only after magistrate Ian von Einem said he saw no option but to send her to prison to stop her from self-destructing. Her sister also presented a headache for the authorities when she was arrested for driving under the influence of drugs and was also accused of pushing a victim on to train tracks. She received a 21-month suspended jail sentence. The women, who were compulsive long-distance runners, described themselves as perfectionists in biomedical science and physical education, topics they studied avidly, side by side. But as they started to waste away over two decades, the weight of each of them dropped to little more than four stone. Doctors said they had the bone structure of women aged between 70 and 100. The twins developed severe eating disorders in their early teens losing more weight when they became addicted to long-distance running. They were so obsessed with marathons that they each suffered stress fractures in their feet. Inseparable to their tragic end, there was the time in 1996 when Rachel Wallmeyer was so ill she was admitted to a psychiatric unit at the Royal Melbourne Hospital – followed by Clare who voluntarily admitted herself too. Rachel Wallmeyer told Melbourne’s Herald Sun newspaper on one occasion that no-one understood anorexia until they have lived it. “It’s like the Grim Reaper – a black hole in your soul,” she said. Their parents, Bob and Moya Wallmeyer admitted that when the twins were teenagers they feared they would find them dead in bed because of their disorder. In an interview with Australia’s 60 Minutes programme the twins gave a startling insight into their eating habits. They also revealed they took at least 20 laxatives. Rachel Wallmeyer said that her sister Clare was the only person who remained by her side.